Since 2008, BIOCOM has hosted the annual “Berlin Conference on Life Sciences”. Since 2017, the focus has been on novel antimicrobials. 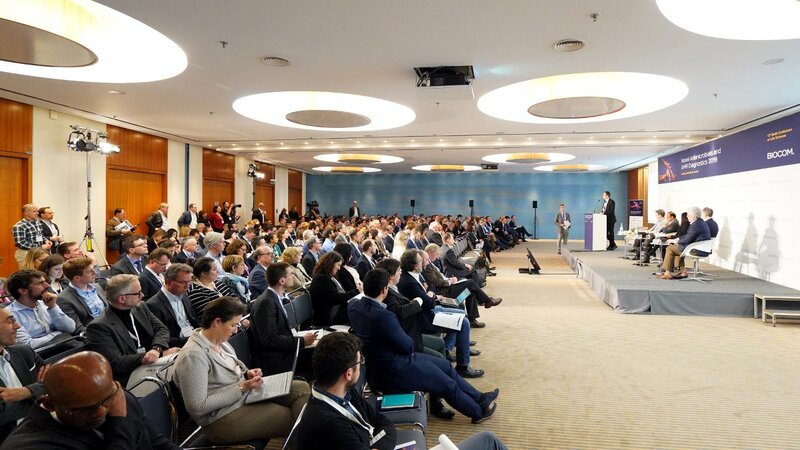 In 2019, more than 330 participants attended the 12th Berlin Conference “Novel Antimicrobials & AMR Diagnostics” in Berlin, which was jointly organised by BIOCOM AG and the BEAM Alliance. The event sees itself as a professional platform for joint discussions and networking for AMR stakeholders from all over the world. It is aimed primarily at small and medium-sized innovative enterprises (SMEs), but also attracts well-known representatives of the FDA, the WHO, the United Nations Conference on Trade and Development (UNCTAD) and other major organisations to Berlin.